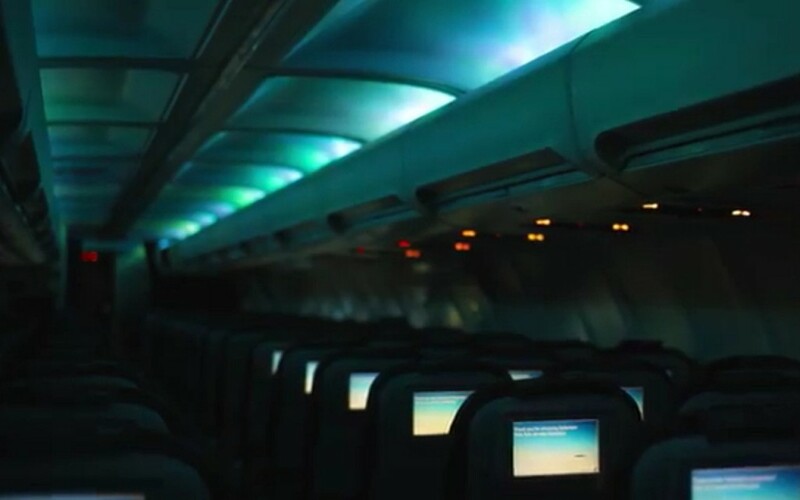 Icelandair has introduced a customized paint job on one of their Boeing 757s showing the Aurora Borealis or Northern Lights and introduced cabin night time LED lighting effects which shimmers like an aurora. The plane is named “Hekla Aurora“. We then flew on Icelandair flight FI607 from Keflavik to Halifax Nova Scotia (on 25th June-2015). I believe the plane was a Boeing 757-200 named Krafla or Katla. 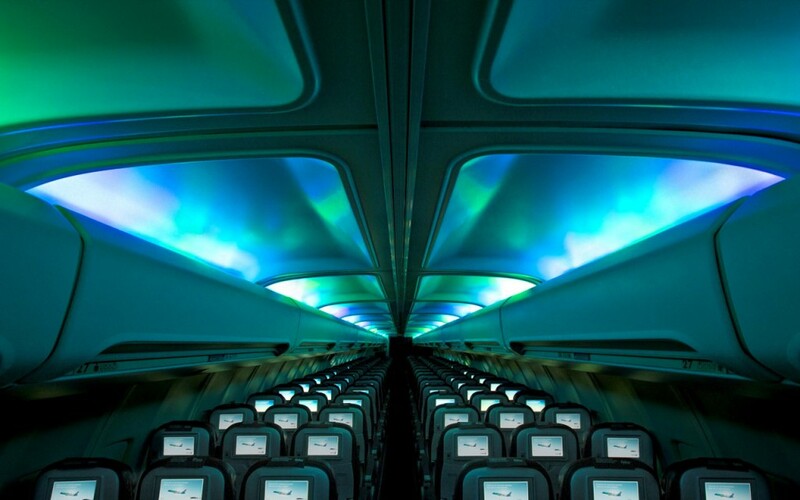 When the cabin lights were dimmed it also had the nice shimmering aurora LED lighting effect. 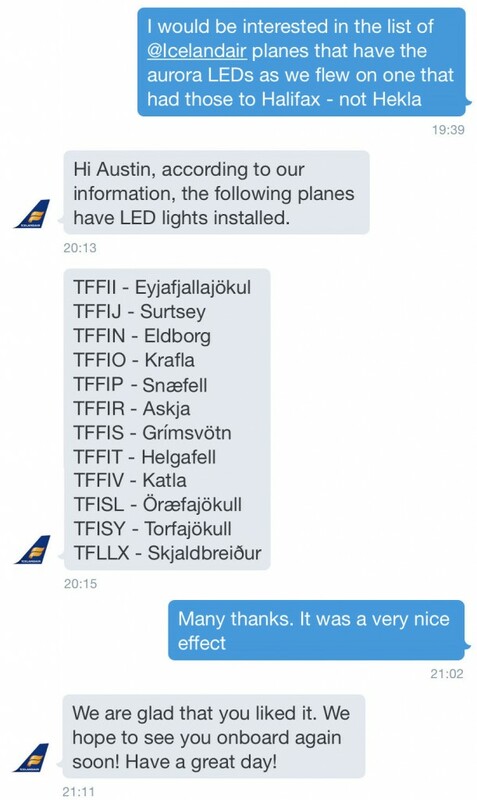 I checked with Icelandair via Twitter and they kindly responded with the names of the aircraft that, as of 23rd July 2015, are equipped with the aurora effect LED lighting. 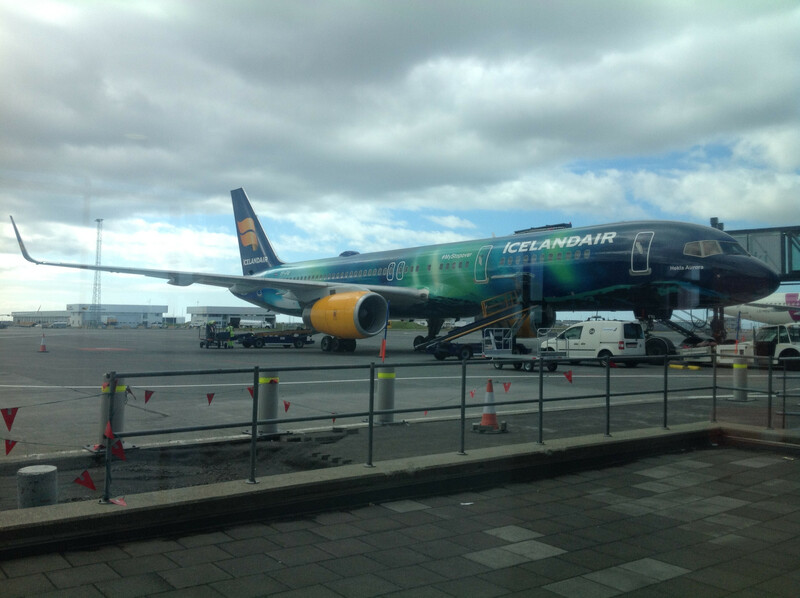 Watch out for this on your next trip with Icelandair. 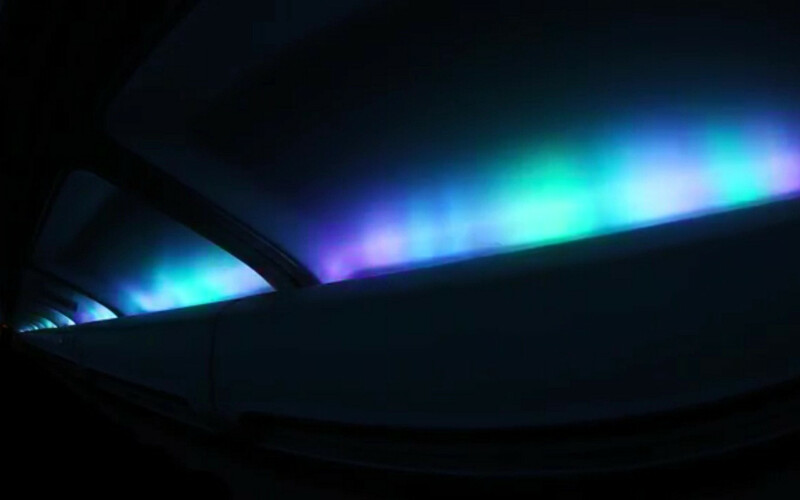 This entry was posted in Media and tagged Airplane, Aurora, Icelandair, Lighting. Bookmark the permalink.